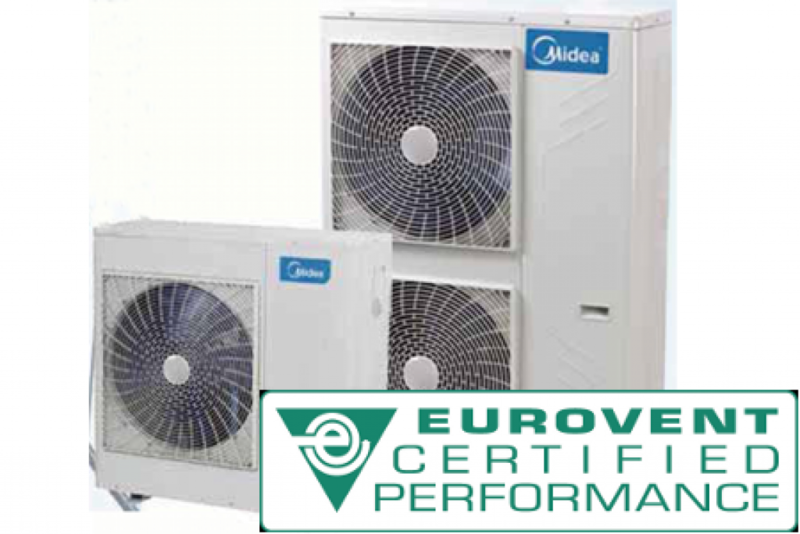 The outdoor units capacity range from 8kW to 18kW which is ideal for small offices, villas, apartment and shops, making it perfect for commercial and residential application. 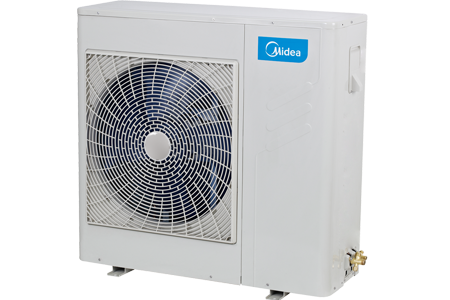 The outdoor unitsâ capacity range from 10.5kW(35,800Btu/h) to 16kW(52,900Btu/h) which is ideal for small offices, villas, apartment and shops, making it perfect for commercial and residential application. 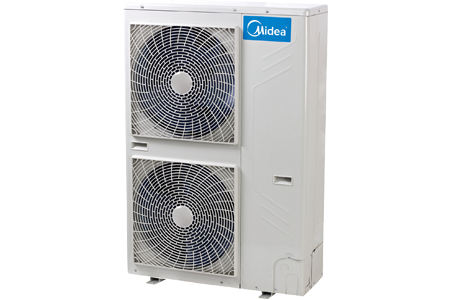 Full DC Inverter Mini VRF with DC inverter compressor and DC fan motor delivers a highly efficient solution for small commercial buildings. Four to nine rooms require only one outdoor unit, and individual control is enabled in each room. 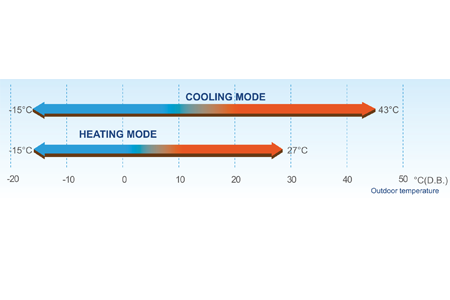 Mini VRF system operates stably at extreme temperature range from minus 15°C to 43°C. 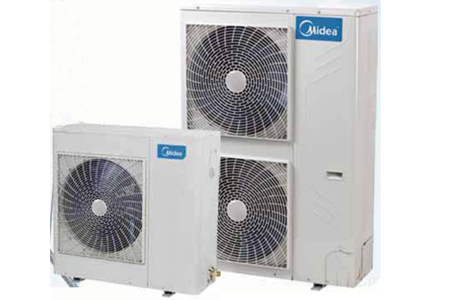 The Mini VRF provides a total piping length possibility of 100m, a maximum height difference between outdoor and indoor units of 30m. 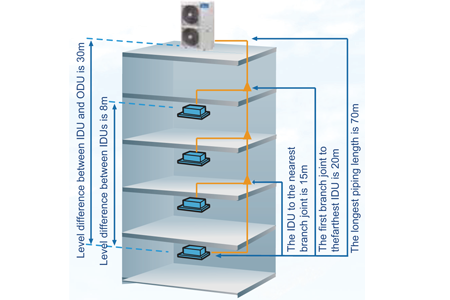 The height difference between indoors unit can be up to 8m. These generous allowances facilitate an extensive array of system designs. 3. ხმაურის დონე იზომება ექოს არმქონე დახურულ კამერაში, აგრეგატის წინ 1 მეტრში და 1,5 მეტრის სიმაღლეზე, აგრეგატის სტანდარტული მუშაობის რეჟიმში.